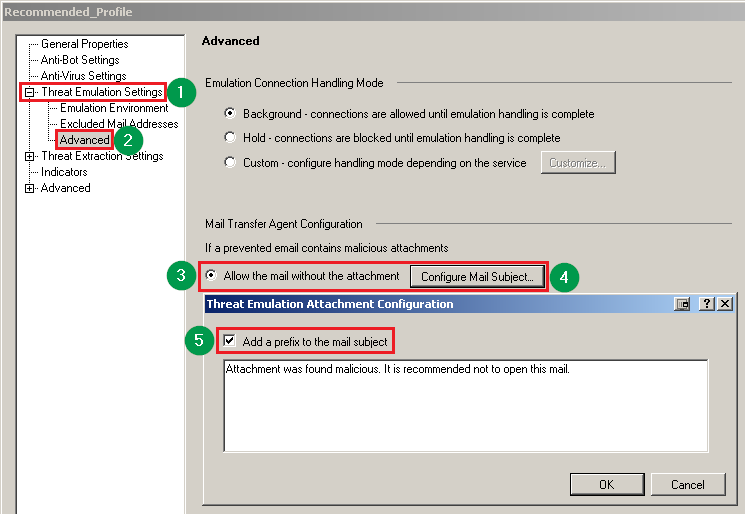 The text that was configured in the Threat Emulation Profile (e.g, "[Malicious]"), is not added to the mail subject of some e-mails with malicious attachment. The subject prefix is added to the "folded" header (refer to RFC 2822 - section "2.2.3. Long Header Fields"), rather than to the actual subject. [emaild.mta ...]@GW_HostName[Date Time] emaild_edit_mail_content_internal: A disclaimer was successfully added to the email.